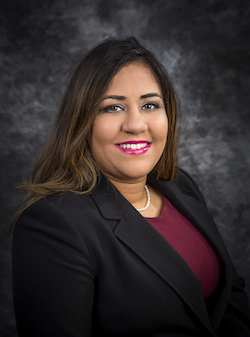 Dr. Priya Kalia is now accepting patients in her family medicine practice at DeTar Family Medicine Center. Priya Kalia, a first generation American who grew up in Dallas, Texas. She received a bachelors degree in Nutritional Science-Molecular & Experimental Tract with a Minor in Philosophy from Texas A& M University before attending medical school at the American University of Antigua College of Medicine in Antigua and Barbuda. The child of uninsured, immigrants, she recognized the importance of medical care at an early age. She understands the challenges faced by those who are unable to afford healthcare and how poverty, addiction and ineffective communication jeopardize well-being. Dr. Kalia is dedicated to helping her patients overcome the obstacles that may keep them from getting the medical care they so greatly need. She is excited to be in an unopposed residency and looks forward to following patients through all stages of care. 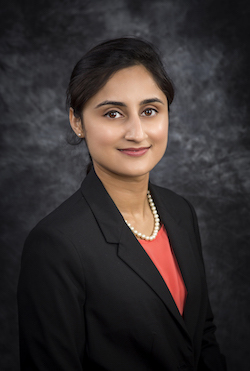 Houstonian, Dr. Anupam Sekhon received her medical degree from Government Medical College in Amritsar, India and is now accepting new patients at the DeTar Family Medicine Center. She knew she wanted to be a physician the moment she realized nothing in life was more important than good health. She is excited to join the DeTar Family Medicine Residency because of is academically strong program and the welcoming community she found in Victoria. 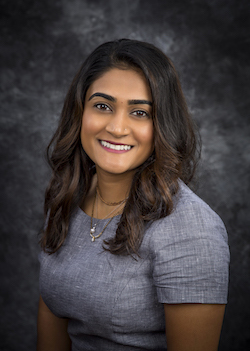 Dr. Sekhon noted the enthusiasm the faculty has for teaching during her medical rotation with physicians, which played a significant factor in her application for a residency position here. 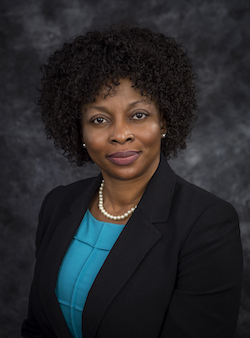 Dr. Frances Ebo-Anagor has opened her family medicine to new patients at the DeTar Family Medicine Center. She received a bachelor’s of science degree in Medical Laboratory Science from the University of Nigeria, Enugu before attending graduate school at the University of Maryland University College at Adlephi, MD., where she attained an MBA. She went on to complete her medical degree at the International American University College of Medicine in Saint Lucia. Dr. Jeff Mistroff is now accepting patients in his family medicine practice at DeTar Family Medicine Center. Dr. Mistroff received a bachelor’s degree in Microbiology/Molecular Biology from the University of Central Florida in Orlando, FL, before entering a graduate program at Davenport University in Grand Rapids, MI., where he attained a Masters of Business Administration with a Healthcare Management Concentration. He then completed his medical degree in St. Martinus University Faculty of Medicine in Curacao. As a youth in Coral Springs, Florida, Jeff Mistroff was always interested in the workings of the human body; he believes his innate curiosity led him to become a physician. He feels the DeTar Family Medicine Residency’s faculty members are dedicated to providing the best possible care for their patients and appreciates the program’s emphasis on preventative healthcare. 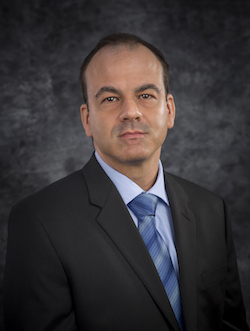 His medical philosophy incorporates educating patients about proper lifestyle modifications to help them achieve and maintain their best possible health. He has a passion for preventive medicine he is looking forward to working in a program that educates patients about proper lifestyle modifications. Dr. Pruthvi Patel is pleased to be a new physician at the DeTar Family Medicine Center and is now accepting new patients. A native of Virginia, Dr. Patel attended medical school at the Medical University of Silesia, School of Medicine in Katowice, Poland. Pruthvi Patel always knew she wanted to help people, and being a family care physician allows her to help in a way that no other profession can. Dr. Patel grew up in Gloucester, VA but has lived in towns of all sizes, from Brooklyn, NY to Katowice, Poland. She is excited by the opportunity to work in a new program, one that she can help mold. Dr. Deke Eberhard, of New Braunfels, Texas, is a family medicine physician who is now seeing patients at the DeTar Family Medicine Center. Dr. Eberhard received two Bachelor of Science degrees from Texas A&M University in College Station—in Biology and Kinesiology. 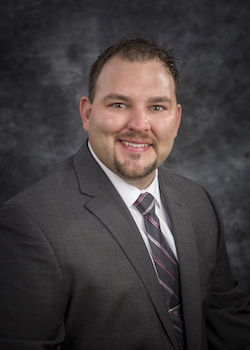 He also holds a Master’s degree in Medical Sciences from the University of North Texas Health Science Center in Fort Worth, Texas and an M.B.A. from Davenport University in Grand Rapids, MI. He completed his medical education at the University of Medicine and Health Sciences in Saint Kitts, Saint Kitts and Nevis. His dream of becoming a physician stemmed from his personal experience as a childhood cancer survivor. After 10 years of treatment and monitoring, he decided to focus on pursing a degree in medicine. His interest was solidified through his studies and community service work with medical mission trips and hospital volunteerism. Dr. Eberhard believes in providing patient-centered care that includes a proactive approach to disease prevention and promoting long-term health and wellness for all patients.